Dr. Kate McGrath is the Vice-Provost of Research at Victoria University of Wellington and the Director of The MacDiarmid Institute for Advanced Materials and Nanotechnology, a New Zealand Government funded Centre of Research Excellence. Kate is also the Chair of the Board of VicLink and also a member of the Boards of two startup companies: WETOX and iPredict. 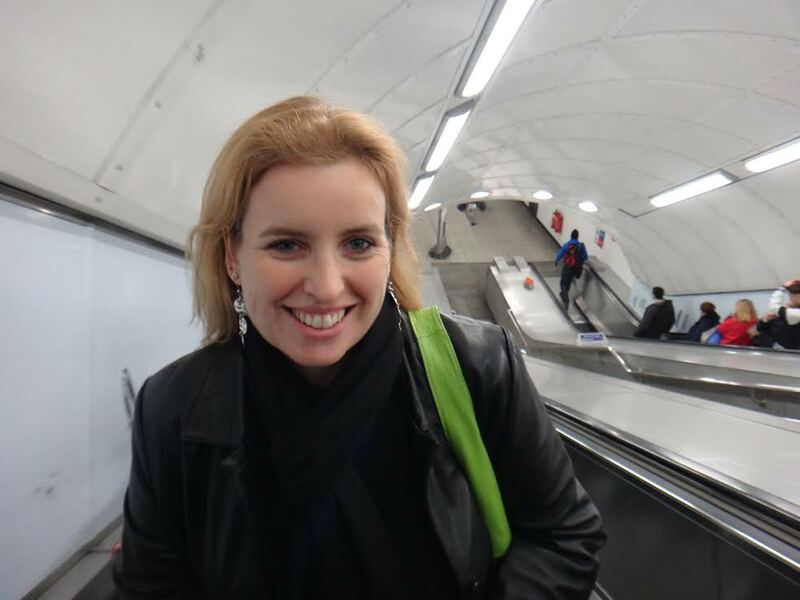 Kate received her PhD in Applied Mathematics from Australian National University in Canberra and conducted postdoctoral research at the University of Pierre and Marie Curie in Paris and at Princeton University. Afterward, she served on the faculty of the University of Otago before joining the faculty at Victoria where she is today. Kate has been recognized for her exceptional research with the Easterfield Medal from the New Zealand Institute of Chemistry and Royal Society of Chemistry, the Research Medal from the New Zealand Association of Scientists, and the Wellington Gold Award, Wellington City Council Inspire Wellington Award. Kate is with us today to tell us all about her journey through life and science. For Kate, science is her career and her passion. When she’s not happily doing science, Kate likes to spend her time reading a good book or whipping up something delicious in the kitchen. She has also gotten into archery and has recently taken up yoga to stay active. Kate studies soft matter and self assembly. Her work in soft matter combines chemistry and physics to understand how animals grow their hard tissues (bones, teeth, shells, etc.) to potentially develop new materials to use in bone grafts instead of metal implants. On the self assembly side, Kate examines how molecules interact and structure themselves in a variety of biological applications. Science wasn’t Kate’s career plan from the beginning. She had strong math skills and took economics and accounting classes to leverage these skills. As a teenager, Kate struggled with the decision of whether she should become an accountant or an airplane pilot. When Kate was 17, her plans shifted dramatically when she learned more about world hunger and decided to pursue engineering to work on issues such as transforming unusable soil into usable soil for crops. While in college for engineering, she found out she really enjoyed chemistry. There was one instance where Kate got scooped in science. She had done a lot of work and was so excited to publish her results. Then the unfortunate news came that the exact project she was working on had been recently published by another group. It was a tough time, and Kate was angry and disappointed. Ultimately though, these things happen in science and you can’t let them keep you down. When Kate was at Princeton, she was working on a very difficult project that she had been putting a lot of hours into. One day, in the very early hours of the morning, Kate finally worked out the problem that she had been struggling with. She was thrilled and ready to celebrate her victory, but she was all alone in the lab at that point. Sharing the exciting news with her colleagues had to wait until a more reasonable hour. One scientific conference Kate will never forget was in Italy, just outside of Florence. She flew in and out of Florence for the trip, and she absolutely adored the city. It was amazing that every corner seemed to have a beautiful building or statue with an interesting history. The city was beautiful, culturally diverse, and overflowing with art and history. Every time someone in Kate’s lab goes on a trip, they are expected to bring back a little touristy souvenir for the lab to represent the place they visited. For example, she brought back a dancing hula girl from Hawaii, there is a big, hanging pineapple from a student’s trip to the Philippines, a life-sized postcard of Queen Elizabeth’s head from a trip to England, and many more. The lab is completely decorated with tacky memorabilia of their travels. Do what you want with the people you want to do it with. Kate’s formal qualifications include a BSc(Hons) degree in Chemistry, a PhD and a PGDipCom in Finance. In 2013 she completed the Advanced Management Programme at the Henley Business School, The University of Reading, UK. In her role as Vice-Provost (Research) Kate is responsible for developing the strategic research direction of the University, supporting the university’s scholars to enhance the quality, quantity and impact of their research endeavors, to grow the University’s external research income and to develop the university’s research distinctiveness themes. Supporting and developing a culture of innovation and entrepreneurship and the realization or commercial outcomes from University research are also major areas of focus. Kate, a chemist by training, continues to lead an active research program. She specializes in the development of advanced materials for use as new bone graft materials, including utilization of 3D printing to generate final materials, and the use of nanoemulsions as drug delivery agents.